I visited the Calvert Marine Museum when I was six years old and got my first shark tooth from their discovery room. This led to me starting my own personal collection, which drove my interests in paleontology. My research interests are broad. My main focus has been on reconstructing environments using fossils and chemistry; however, I'm also interested in ecology, anatomy, and science education. My days vary a lot. Sometimes I'm in the field all day and other days I'm in a chemistry lab or a classroom. One of the reasons I love paleontology is that I rarely do the same thing day after day. I've been fortunate to have many great field experiences. My favorite place I've done field work is probably Panama. Simply because I know many of the places I've gone in Panama have never been collected by anyone before me. 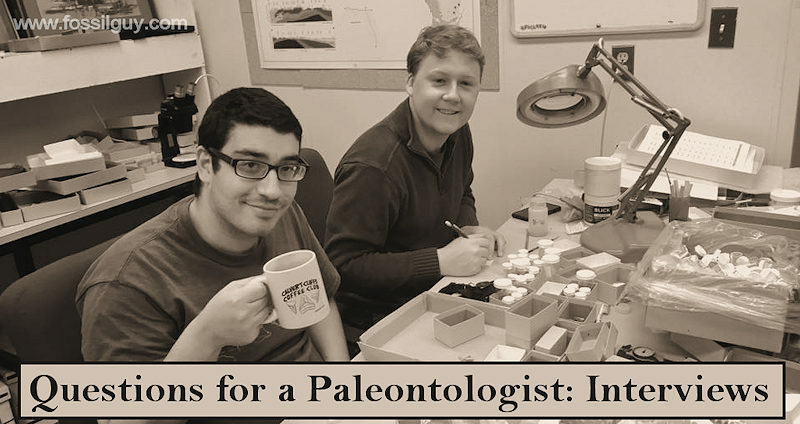 Paleontologists do lots of different things-from teaching in museums to working for oil companies. If you have a passion, or even just a curiosity, for paleontology you should look up your local paleontology club and get involved! 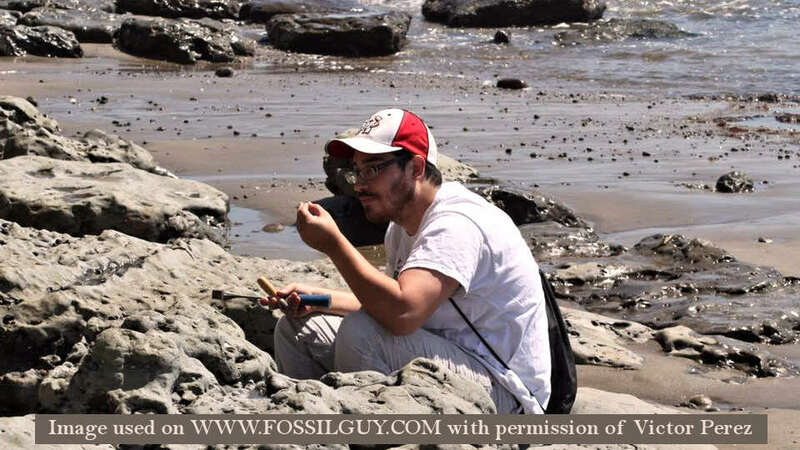 Victor Perez examining fossils along a beach. 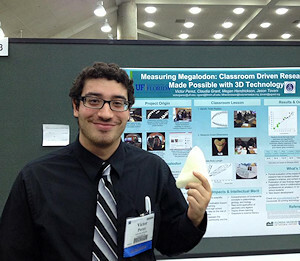 Victor Perez working in his Paleo-Lab at the University of Florida. 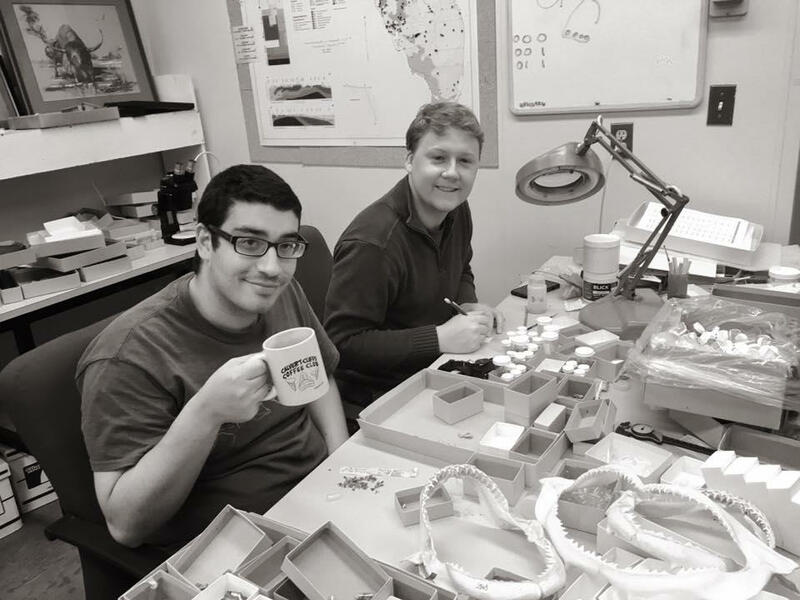 Victor also works with the The FOSSIL Project based out of the University of Florida.